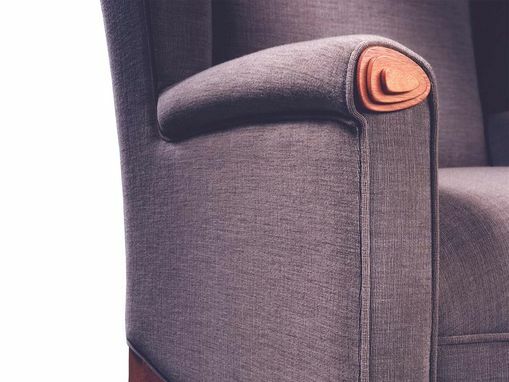 Wing Chairl: Fully upholstered body. Natural or stained maple legs and stepped endcaps. Ottoman: Fully upholstered body (COM/COL). Natural or stained maple legs. Open grain finish on all wood surfaces. Shown with natural mahogany legs and stepped endcaps. 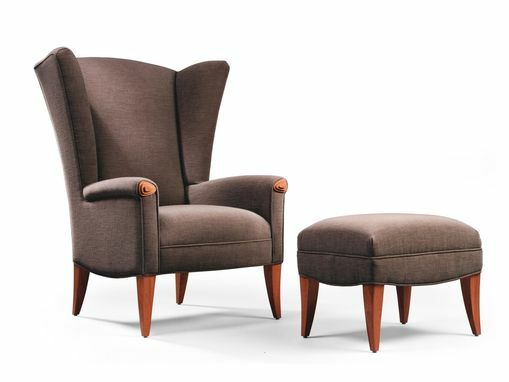 Amelia Wing Chair - 37"W x 36"D x 48"H - Seat height - 19. Arm height - 25"